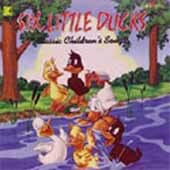 Children will love all of the singable songs on this recording. In addition, each song connects with a creative extension activity and literature link in the guide. A must for every classroom and home! Guide with lyrics and activities. This is a bouncy, fun collection featuring entertaining songs, easy sing-alongs, active participation selections and teriffic musical arrangements. The comprehensive guide includes extension activities, literature links & lyrics. Sequel to Where Is Thumbkin. Singable songs for kids are arranged according to the months of the year but can be used anytime. Guide includes song lyrics, activities and book connections. By Dr. Pam Schiller.